Let's fill that calendar ! As winter winds down and spring and summer arrive to the Midwest, it is time to kick it up a notch (pun very intended) with your practices. Unless you are in the NFL, you will have to balance your school and your family/social responsibilities with your kicking practices. Planning out next several months loosely right now will help you stay on track when things get busy or life throws you a curve ball. So I suggest that you get out one of those big paper desk calendars. Athletes reading this...just ask your parents what this desk calendar thing is. You use a pencil to fill it in, and you zoom in by leaning over it (not pinching and expending with your fingers). You are going to fill in the calendar with events and practices between now and start of your football camp in August. Enter all non-negotiable obligations first - events that you cannot miss - weddings, graduations, family trips, etc. 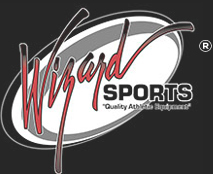 Enter all other sports that you will be playing - track meets, club soccer tournaments, etc. Enter all the kicking camps that you will attend. Now, go week by week, and estimate how many kicking workouts you will be able to accomplish in that week. You should kick one to four times per week. Aim for about 50 to 70 full kicks per workout. If you are tired and low on time and energy, you can always do as many drills as you want in your house or your back yard. Be flexible. Use pencil to plan things out. Erase and add things as needed. Write a nice big goal somewhere on the calendar where you will see it frequently. Something like " 4000 kicks before August" or "Make a 50 yard field goal before season starts". Whatever is achievable but challenging for you. Class of 2019 - There will still be schools looking for 2019 kickers in the upcoming months if you are looking to kick in college. Keep kicking. They can and will try you out or ask for recent video of you kicking. Class of 2021 - Attend few college camps to get a feel for how they work. Keep working on your skills. Compete with your classmates whenever possible. Compete with yourself every day. Raise your game and commitment to kicking now. It will make your season and next year much more fun. More detailed College Recruiting Timeline is always available on our website HERE. University of Akron (OH) is looking for a 2019 kicker as a preferred walk on. Opportunity is there to win the job right away. Indiana Wesleyan University (IN) is looking for a 2019 or 2020 Punter or Punter/Kicker. Scholarship money is available. Colgate University (NY) is looking for a kicker and a punter from the class of 2020. Scholarship money is available. I added a new page to the website where I will post all the charting results from The Kicking Coach camps. If you attended one of our four winter events (Youngstown, Grand Valley, Illinois or Tiffin), your performance is on there. Once every few years, I add a short paragraph to this Newsletter to thank all of you athletes and parents for working with me and my staff. The Kicking Coach started in 2007. Twelve years later, events are always near full capacity, and we bring more value in terms of connections, services, and knowledge to our athletes and staff. By continuing to work with me, you are allowing me to do what I love every day, be myself every day, and feed my kids while wearing shorts to work every day. Thank you. In return, I will be there for you...to help you become a better kicker, to help you navigate the college recruiting process, to advise you on how to deal with your coach or a college coach, to answer any kicking related question you may have, to be honest with you and tell you what you need to hear (not just what you want to hear). Text me a video of yourself kicking and ask for feedback. This is free for all kickers who worked with me at any event. Use your phone to film yourself kick, text me the video to 773 480 - 5425, ask for feedback. It is that easy. Mother load of kicking information. Kicking Tips page on our website is thousands of words with videos, pictures and links - answering most commonly asked questions by kickers and their parents.